40 percent of all U.S. households have been affected by viruses, costing an estimated $4.55 billion. These are worrying statistics, especially considering more and more of our lives, data, and personal information are being shared online. However, there are simple and easy ways you can protect your personal information and computer from viruses. This guide will show you how. Below you’ll find a handy list of resources that will explain what computer viruses are, how to prevent them, how to get rid of them, and where you can learn more about computer viruses. TechTarget.com – To get you started, here’s a handy definition of “computer virus.” You’ll also find some information on the different types of viruses (e.g. macro viruses, file infectors, and overwrite viruses); an intriguing history of computer viruses; and some of the world’s most famous viruses. You might also want to check out their malware guide, which provides you with even more in-depth information. US-Cert.gov – Produced by the United States Computer Emergency Readiness Team, this information introduces you to viruses and how you can avoid them. Dummies.com – This resource provides you with the ultimate cheat sheet for tackling computer viruses. 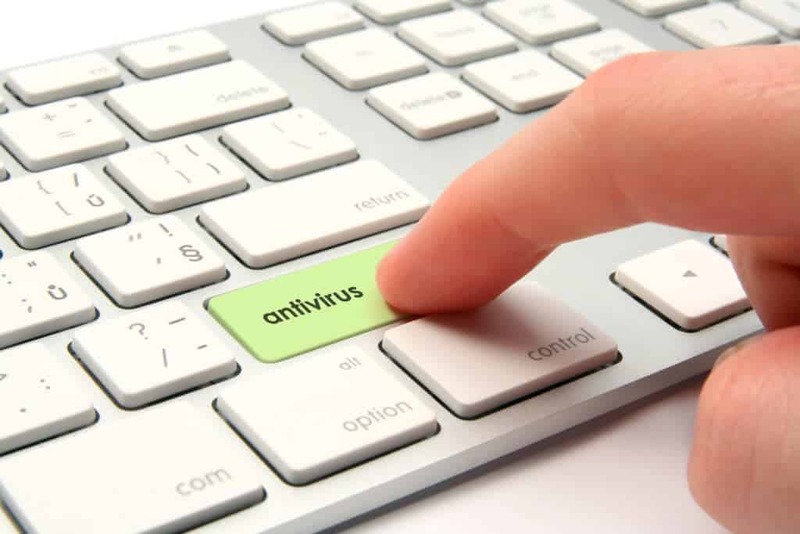 It explains how to configure your antivirus software, how to scan for viruses on your computer, and how to operate your computer safely. It also includes a section on what to do if your computer does get a virus and how best to handle this. LiveScience.com – Discussing the three most common types of computer viruses, this resource delves into trojans, botnets, and scareware. It goes into detail about each of these while also providing you with advice from some industry-leading experts. Comparitech.com – To tackle computer viruses it’s imperative that you’ve got antivirus software installed on your computer. And this great, jargon-free guide explains why you need antivirus software and what you need to look out for when buying it. BBC Bitesize – Even though this resource is aimed at kids, it still provides a great overview of what viruses are, what can happen if your computer gets one, and what the most common types of malware are. Perfect for educating the kids on what to look out for when they’re on the computer. Comparitech.com – Providing a list of the best antivirus protection for 2017, Comparitech has done all the hard work for you by reviewing each provider in detail. They’ve looked at various criteria, including value for money, effectiveness, and additional features. You can read in-depth reviews on each of these providers before making your purchase. US-Cert.gov – Here you’ll find some more information about what antivirus software does, how it works, and how it will respond to threats. SE Labs – Founded by security expert Simon Edwards, Chairman of the Board of the Anti-Malware Testing Standards Organization, this company provides independent testing of antivirus programs. Consumers can sign-up to receive their latest reports here. WildList.org – WildList Organization International aim to provide comprehensive, timely, and accurate information to product developers and users about computer viruses that are “in the wild.” The list is produced by over 40 recognized volunteers and is free for all to view. Symantec.com – As a leader in cyber security, this is a great place to visit if you want to hear about the latest threats. You can find up-to-date information about emerging threats, emerging risks, and vulnerabilities. McAfee.com – On this website you’ll find a list of recent threats, which have been assessed to establish what type of risk they are (i.e. low or high). You can also find a global virus map and a list of recent virus hoaxes. AVG.com – Learn about the top threats through AVG Threat Labs’ encyclopedia of viruses. Here you can learn more about specific viruses (e.g. Trojan Horse) while also seeing what threats have been detected today and what types of malware have been found. CERT – If you want to stay up to date with all the latest developments in Internet security, including the most recent computer virus threats, this is your go-to place. Run as part of the Software Engineering Institute, CERT aims to provide cutting-edge information, advice, and training to continually develop and improve cybersecurity. AAVAR.org – This nonprofit organization is based in Asia and is made up of a number of experts from all over the world. Their aim is to prevent the damage and spread of malicious malware while also raising the awareness of computer viruses to users across the globe. Apple.com – For Mac users, this is a must-see resource as it provides you with added details on the type of safety that’s built into Macs. It’s also a good place to keep up to date with the latest advancements and whether there are any updates you need to do. Microsoft.com – Here you can learn about Microsoft’s latest investments, what they’re doing to make their systems safe, and the security methods that are built into their systems. If you’re a business, you can also perform a security risk assessment, which helps you to see the cost implications of a security threat and what measures you need to take to protect your company. AV-TEST.org – As an independent service provider, AV-TEST carries out research work which enables them to find the latest threats and analyze these before informing customers about their findings. Stay up to date with their latest tests through their website, narrowing your search down according to what device you want to search for – e.g. Android; Windows (business or personal); and MacOS. VirusBulletin.com – With this publication you can find out the latest techniques, developments, and threats to online security, while also hearing the opinions of industry experts. Virus Bulletin also tests anti-malware software, so you can read about their certification schemes and what these involve. Related: Learn how to encrypt email to keep your messages private.